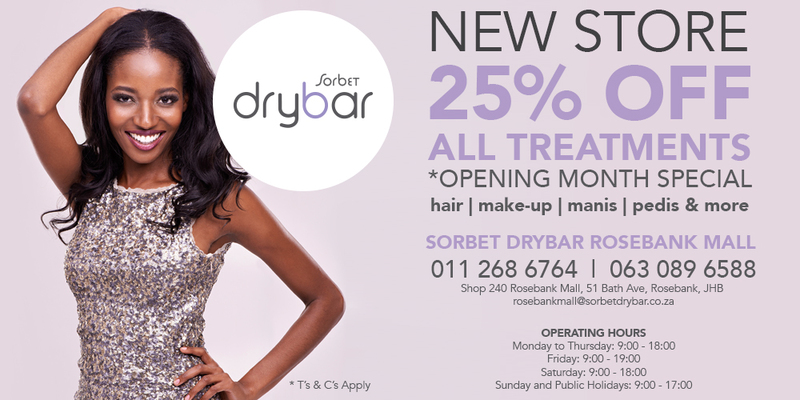 FEEL EXCITED with 25% off ALL treatments at Sorbet Drybar Rosebank Mall. There is a new babe on the block! Sorbet Drybar Rosebank Mall now open! 25% off ALL treatments from 13 April – 13 May 2016.